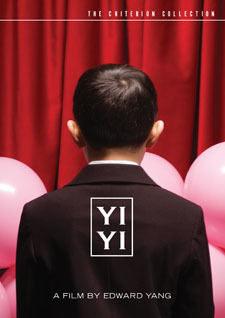 Yi Yi is an epic story about the Jiang family seen through three different perspectives: the father NJ (Nien-Jen Wu), the son Yang-Yang (Jonathan Chang), and the daughter, Ting-Ting (Kelly Lee). The three-hour piece starts with a wedding, concludes with a funeral, and contemplates all areas of human life in-between with profound humour, beauty and poignancy. The other Taiwanese cast members include Elaine Jin as NJ's wife, Min-Min, Su-Yun Ko as NJ's former love Sherry, Hsi-Sheng Chen as Ah-Di, and Pang Chang Yu as Fatty. The film also stars Japanese comedian Issei Ogata as a Japanese software mogul, Ota.